I thought I would share with everyone my thought process when I am out shooting. 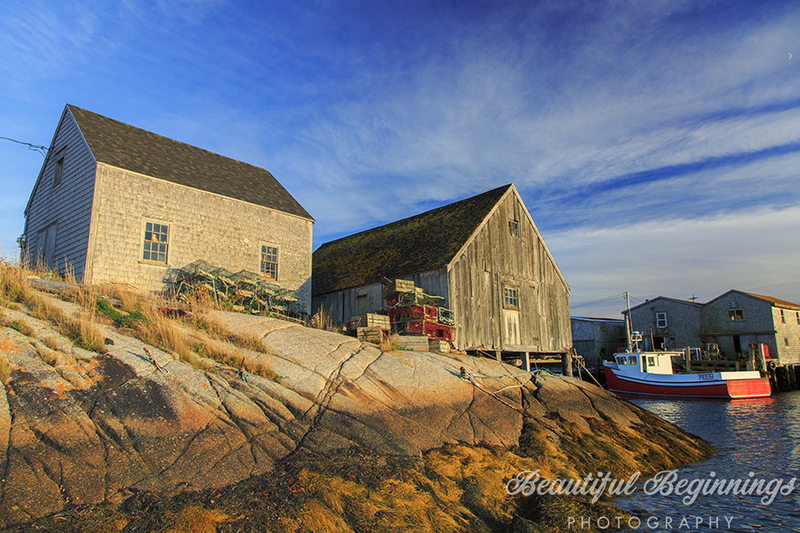 A big component of photography is scouting the location that you are planning to shoot. I have done a lot of shooting at Matlock Beach and I know that beach like the back of my hand. I find it challenging to come up with new compositions and new images. Make sure you walk around and look at every angle possible. Some angles will work better then others. Being able to adapt to changing condition when out shooting is a must. Being patient is another must when shooting landscapes. I had waited all summer to have a south wind. When there is a strong south wind it pushes the water away from the shore. It ends up revealing beautiful patterns in the sand, as well as sand bars. Having light winds in the morning is also helpful but not guaranteed. 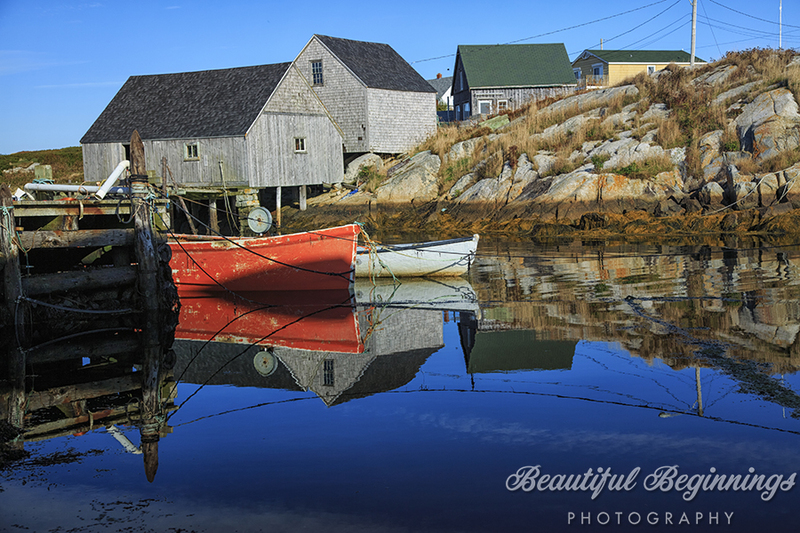 The beautiful part about a light wind is that you are able to get nice reflections in the water. Sometimes I envision the shot before I go out shooting and other times I come up with the idea when I am in the field shooting. I had hoped that some of the sandbars would still be visible. I knew that the wind direction had changed overnight but it was a light wind. Sure enough when I got to the beach that morning the sandbars where still visible. 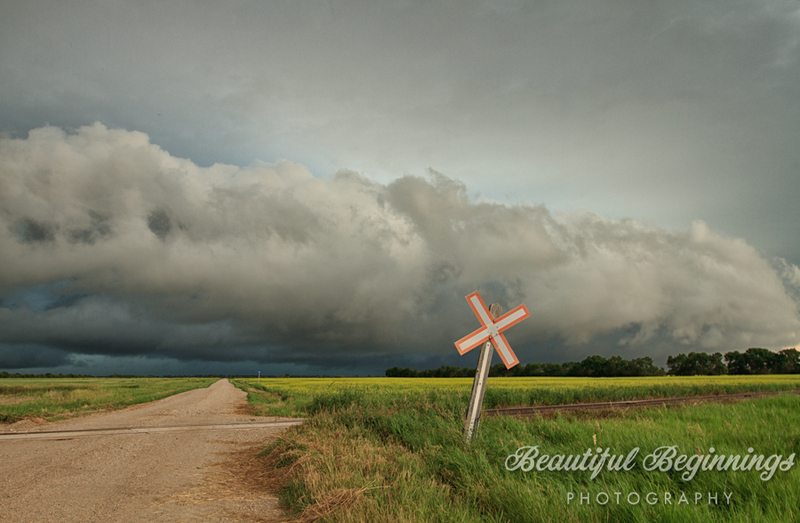 I knew the area that I had wanted to shoot in so I headed there and waited for the right conditions. There was some clouds over the lake and I wanted to wait and see if any colour would develop. I always do a test shot first. This allows me to make sure that I have the correct exposure and composition. When I took my test shot it felt like something was missing. It needed a human element, so I decided to do a self portrait. In order for me to take the self portrait I needed to use my intervalometer. I set up the meter to take 10 images 2 seconds apart. This allows me to take multiple shots without having to go back to the camera. I am also able to do multiple different poses. Making sure that I placed myself in the correct location is a challenge. I knew I had to be close to the waters edge in order to get my reflection in the water. So I made sure to walk along the edge of the sandbar. I also knew that I had wanted to place myself at the very edge of the sand bar. I did try and see if placing myself in the middle of the sandbar would work but to me the image wasn’t as strong as the one below. 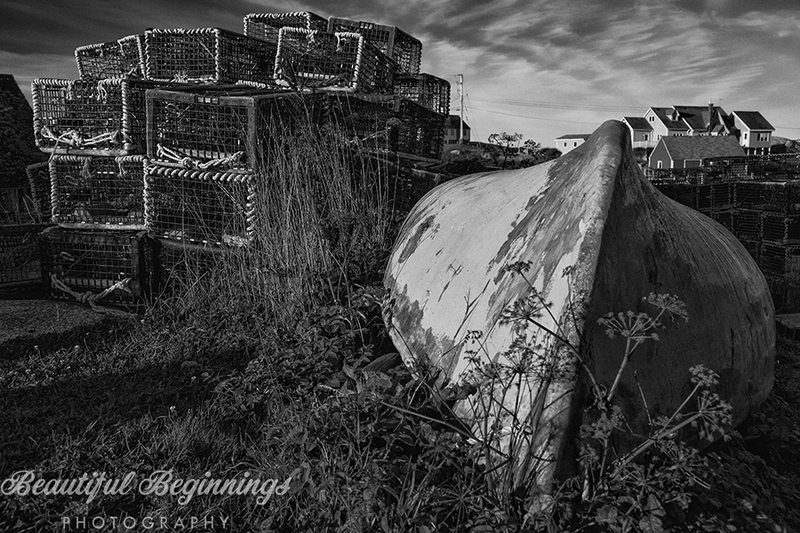 Beautiful Beginnings Photography on TV! Last month I received a message from a friend and fellow photographer asking me if I would be interested in doing an interview on CTV. I couldn’t pass up that opportunity, so of course I said yes! I was put in contact with one of the producers of the morning show and she explained to me what they were looking for. They wanted me to provide 4-5 tips on capturing better landscape images! Here are the 5 tips that I came up with. 2. Look for different perspective. Take the image at a different height level – try shooting down low from your stomach. It’s ok to still shoot at eye level but looking for that different angle or perspective will give you a different take on the location that you are taking images at. You will come away with images that other people might not have. 3. Where to place the horizon. Placing the horizon in the upper or lower 1/3 of the image often gives the image more balance. When I am deciding where I want my horizon line. 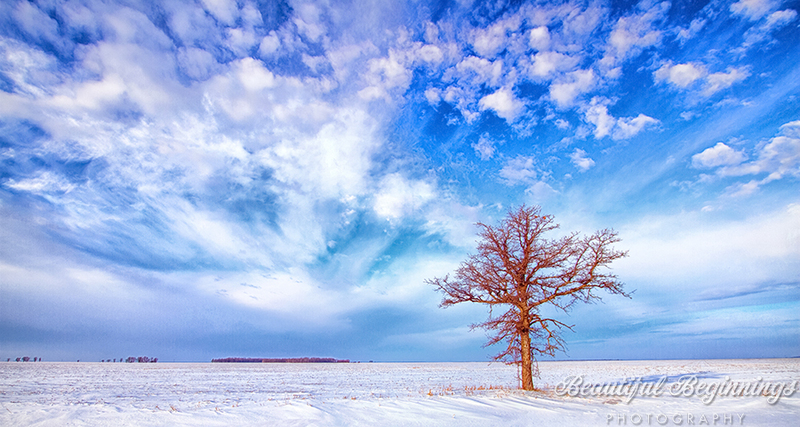 I look at the scene that I am shooting and decided whether I want more sky or foreground in my image. 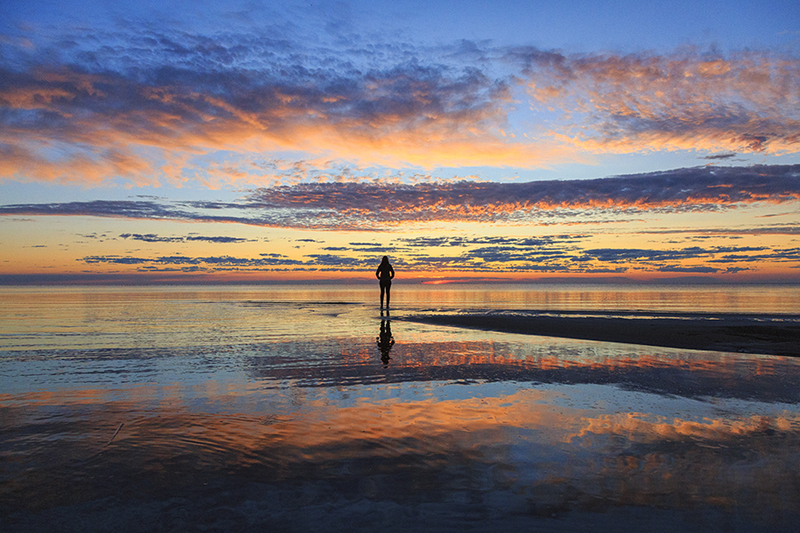 Sometimes when you are shooting on a beach and the lake is like glass, you have a gorgeous reflection. Then I would place the horizon in the centre, that way you get that mirrored image. 4. Don’t be afraid to shoot in the rain. Raining days can make for some amazing images. The rain helps to bring out the colours in grasses, flowers, buildings etc. Always protect your camera when out in the rain. A cheap alternative to an extensive rain cover is to use a shower cap. 5. Know your location that you are taking your pictures. Go out and scout the area before you take any images. Check the area in various light situations. Time of day could be the key to a great shot. Here is the link to the interview! 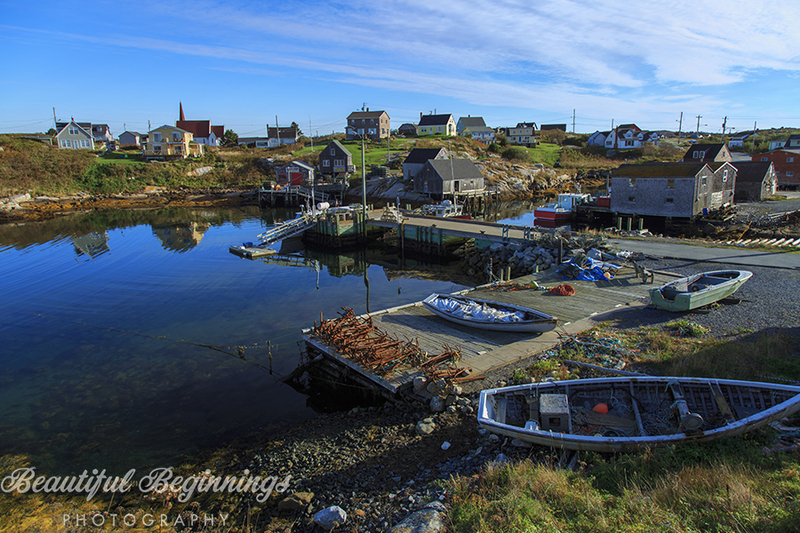 Author dhammerlingPosted on August 17, 2015 Categories Blog PostsLeave a comment on Beautiful Beginnings Photography on TV! 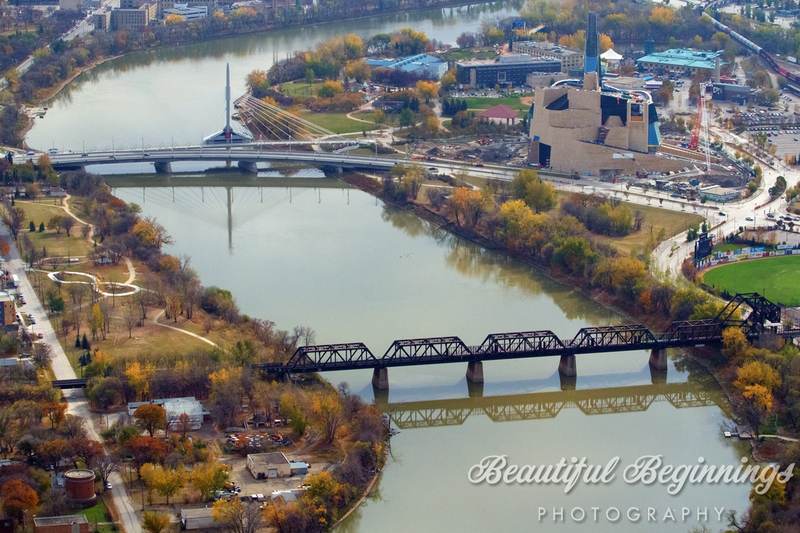 I am very happy to announce that October was a great month for Beautiful Beginnings Photography! I know this announcement is a little late but figured better late then never! I had two images published in October one in a national photography magazine and the other in a book published by the local bookstore. Below are the two images. Author dhammerlingPosted on November 26, 2013 Categories Blog PostsLeave a comment on Recent Publications! My journey started at 900a in Winnipeg, my flight to Halifax left the airport at 1000a with one stop over in Ottawa. The layover in Ottawa was a little longer then planned as the flight was delayed by 20 mins. I arrived in Halifax shortly before 600p after picking up my luggage I headed down to the parking garage to pick up my rental car for my journey. 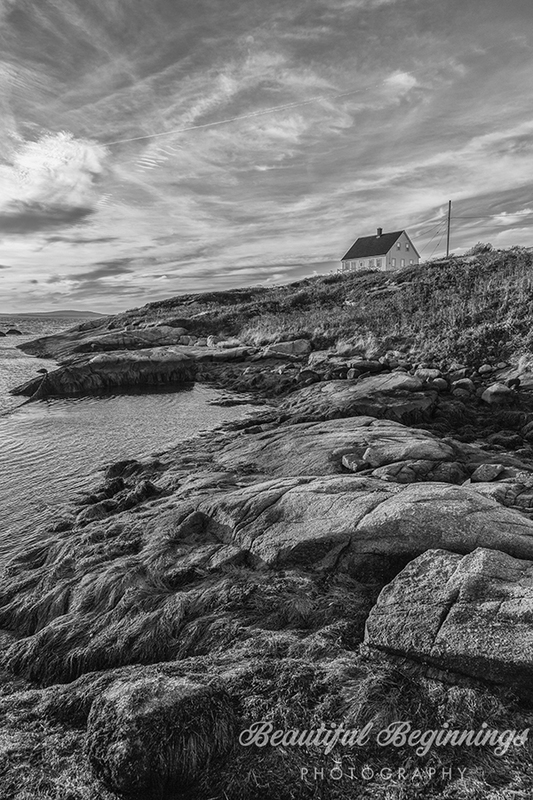 After getting my rental car I headed out to Peggy’s Cove. My goal for the trip was to maximize my shooting times by staying on site and or near the areas of interest that I had wanted to shoot. 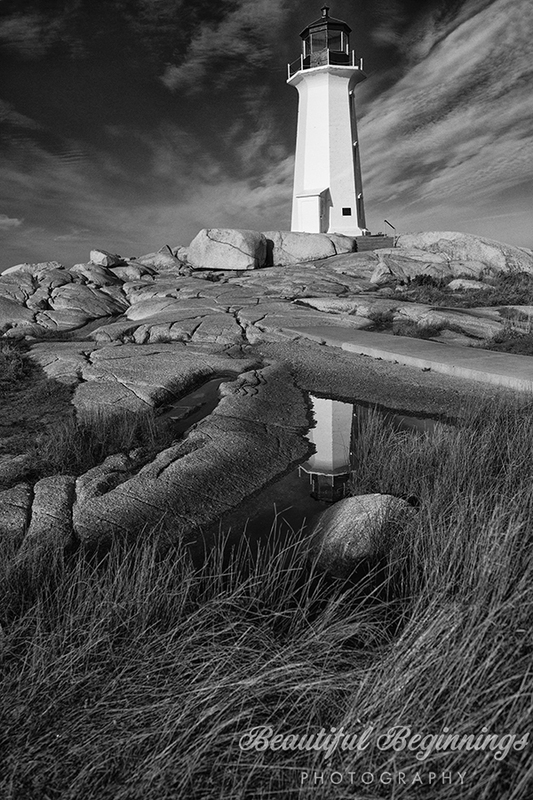 The bonus of staying in Peggy’s Cove was the easy access to the village and lighthouse during the golden hours which is the best time to do landscape photography(plus you avoid the bus loads of tourists that come during the day) I arrived shortly after 730p and check into the Peggy’s Cove B & B. After a long day of travelling it was time to head up to the restaurant to pick up what was the 1st of many lobster rolls on the trip! The next morning started out with me getting up just before sunrise to head out to do some shooting in and around the village. 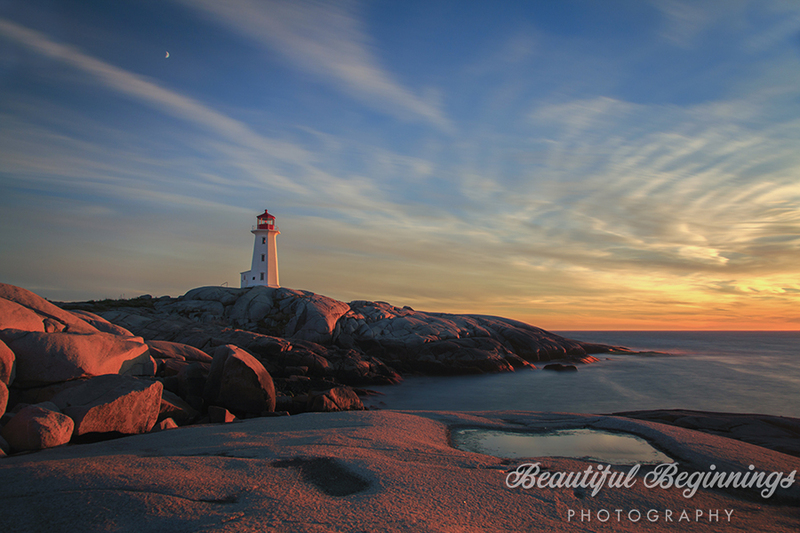 The one thing that I forget to consider was that Peggy’s Cove isn’t flat like the prairies so the golden light just after sunrise doesn’t happen just after sunrise you have to wait for the sunlight to crest over the hills. 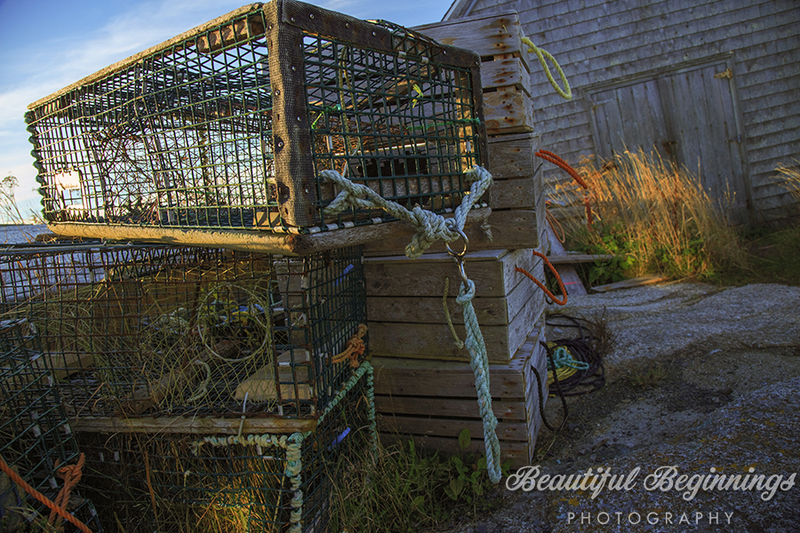 The best part about shooting at this time other then the light was that it was low tide. I had an hour to do some shooting before breakfast was to be served at the B & B. 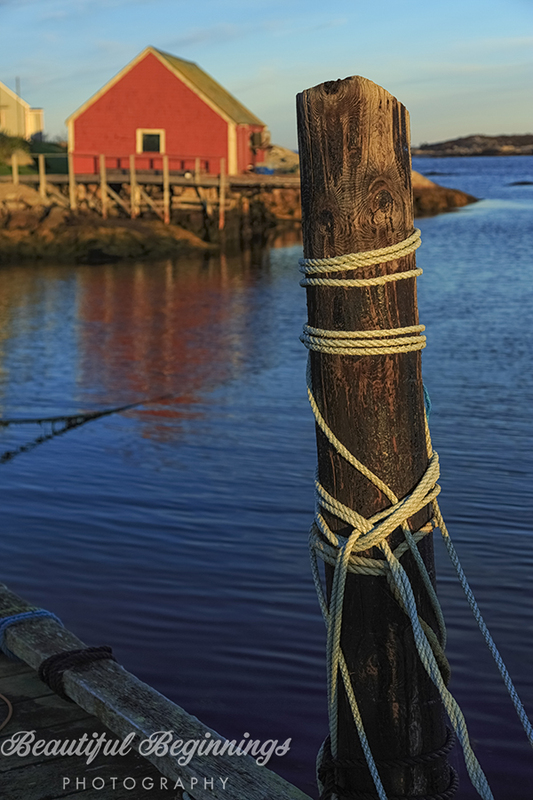 There are so many things to shoot in the harbor area of Peggy’s Cove that I made sure to focus on the details. Shortly before 830a I headed back to the B & B for a fantastic breakfast! After breakfast I had a great chat with all the guest and the owners of the B & B. Dan, Judy, and Sharon were wonderful hosts and made me feel like I was at home. I even meet a wonderful couple who enjoy photography and were from Steinbach, MB! We headed out to shoot the sunset later on that night. After breakfast I decided to head out and do some scouting of the lighthouse area to find a good area to shoot the sunset. I also did some shooting at this time. 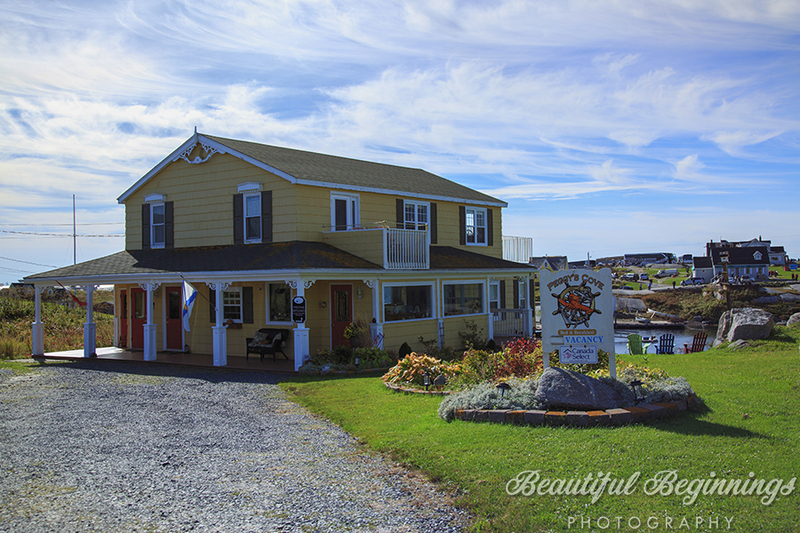 It was time for lunch so I headed into Indian Harbor to a restaurant that was recommended to me by the B & B owners and that was Rhubarb’s. I had the fantastic fish and chips which were gluten free. 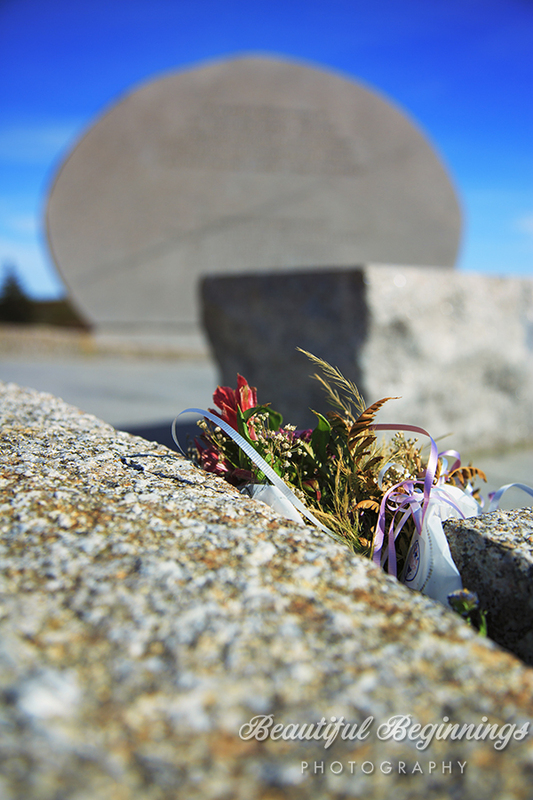 After lunch I decided to see the Swiss Air Flight 111 Memorial. 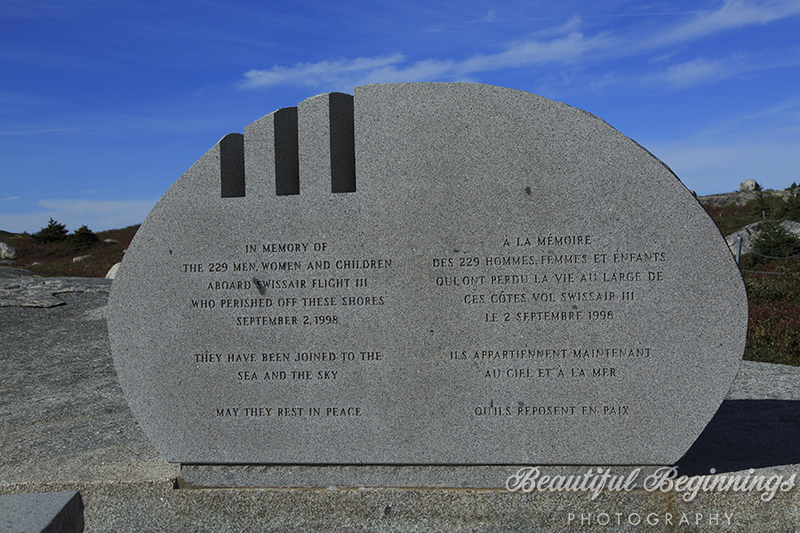 Swiss Air 111 crashed off the coast of Nova Scotia near Peggy’s Cove on September 2, 1998. Sadly all 229 people on board died. 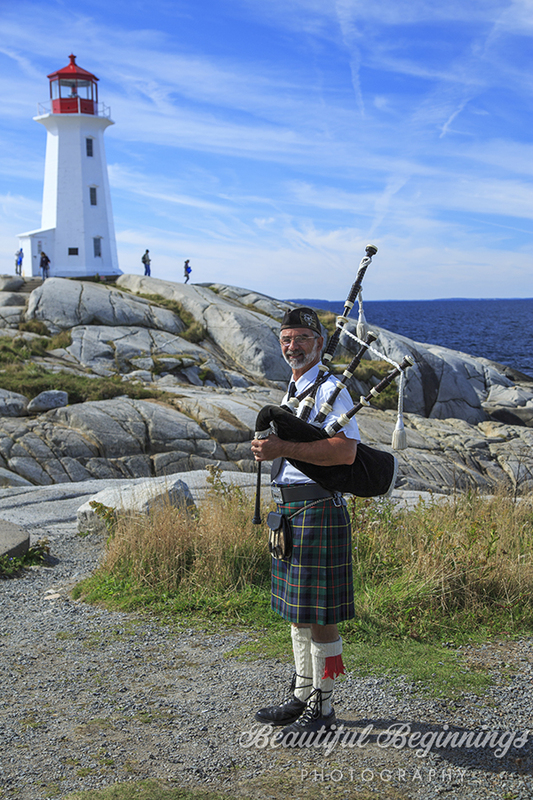 There are two memorial sites in Nova Scotia one of them near Peggy’s Cove and the other in Bayswater which is where the unidentified victims of the crash are buried. The memorial site is located at what is called the Whalesback and over looks the ocean with a direct site line to the crash site. 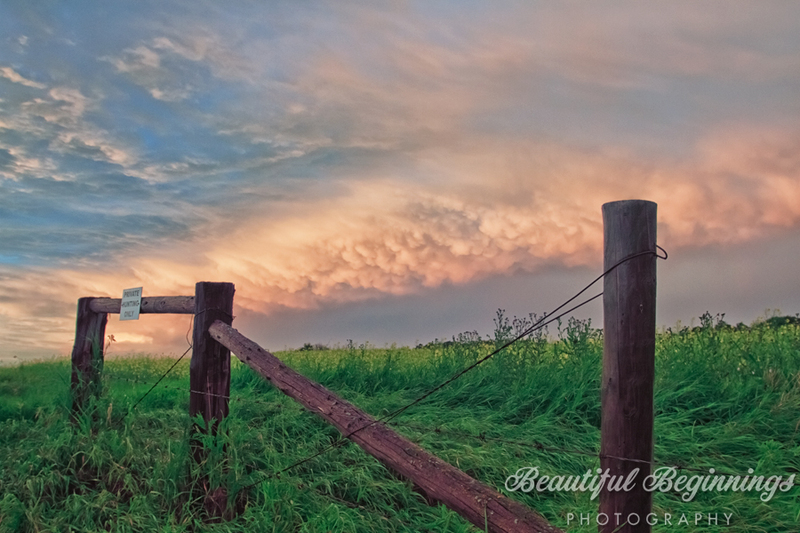 I headed back to the B & B for a nap before shooting the sunset! 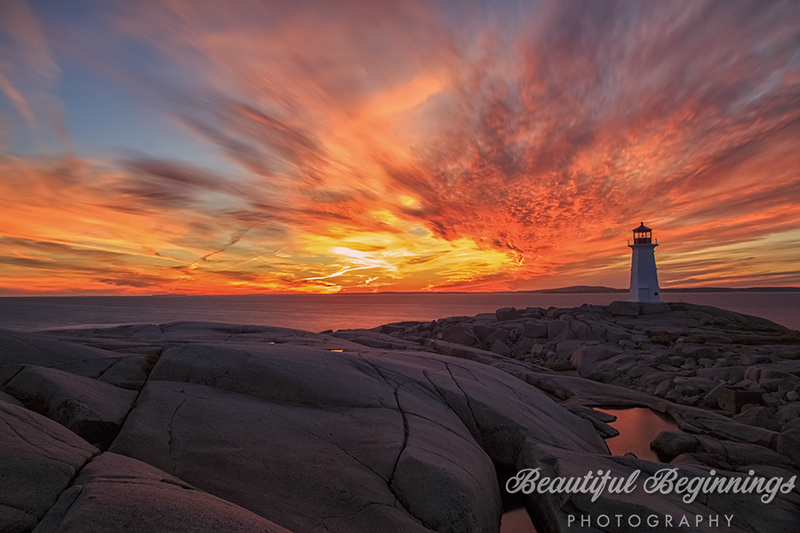 There were wispy clouds over Peggy’s Cove all day and it looked like it was shaping up to be a great sunset but what we got was fantastic! 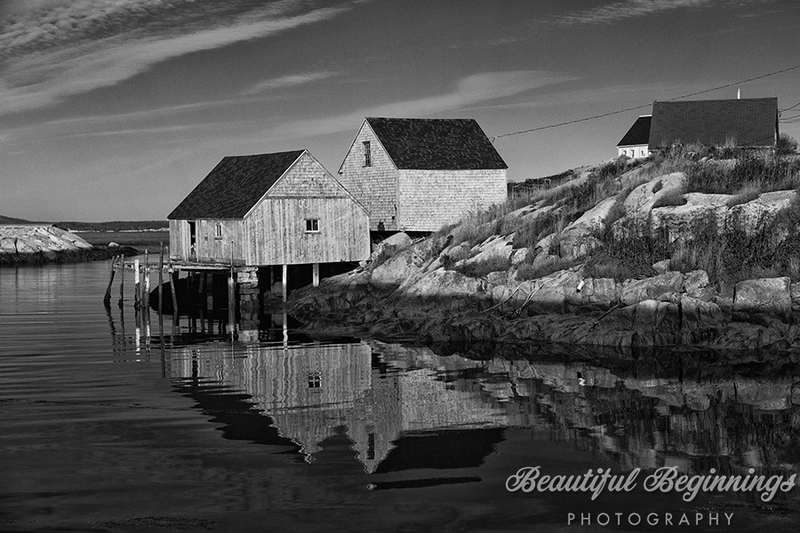 Before I headed to the lighthouse I took some more time to shoot the harbor. The clouds ended up being in perfect position over the lighthouse. I climbed some of the rocks to get a awesome advantage point! 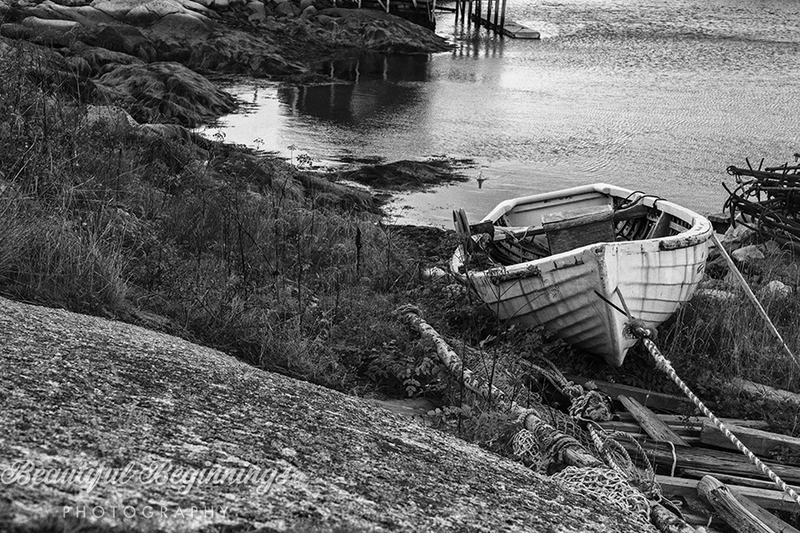 Day 2 in Peggy’s Cove was actually just the morning. 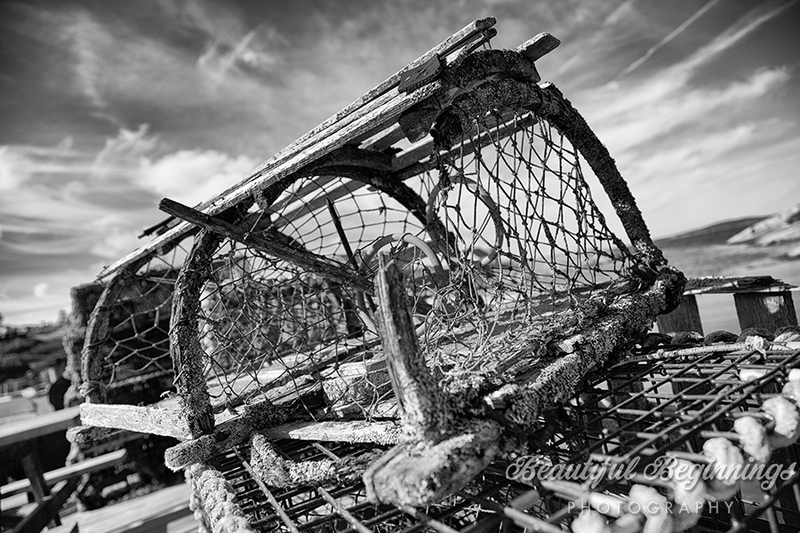 I was heading out to Lunenburg but not after having another fantastic breakfast and doing some more shooting around the lighthouse and harbor. The morning was perfect as there wasn’t much wind and I was able to get some great reflections of the lighthouse in the pool of water that are on the rocks. I did some more shooting at low tide and was able to watch some of the tide come in which was pretty neat! Dan one of the owners of the B & B took a shot of me with the lighthouse in the background before I headed out to Lunenburg! 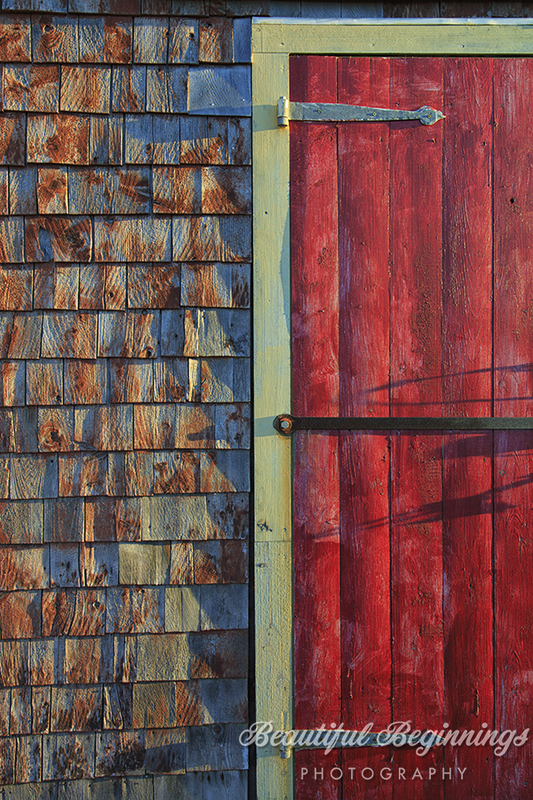 Coming soon…… Lunenburg, Blue Rocks, and Mahone Bay! On Saturday Morning July 13, 2013 Environment Canada issued a tornado watch for the Southwestern part of Manitoba. A group of fellow photographers had planned to head down to Northern Minnesota to shoot some abandoned buildings. When my fellow chase partner and photographer saw the watches we decided to change our plans and head to South Western Manitoba to do some storm chasing. Four of us left Winnipeg around 130p that day. Storms were predicated to fire around 5p that day. We travel with a laptop that has GPS and radar. We use GRlevel radar it shows us the size of the hail and any rotation that maybe in the storm. One of the most useful things that GRlevel allows us to do is to have our GPS location in relation to where the storm is. This helps us stay out of the bear cage (this is the area of the heaviest rain and largest hail) on the other side of the bear cage is were the tornado would be. This is very helpful when out in the field.Once we arrived in Virden, MB which is an hour west of Brandon, MB we check the radar to see the progress of the storms. The 1st storm in the line of cells was the cell to watch at that moment but we had received reports of baseball to tennis ball sized hail so we wanted to stay away from the core of that storm. 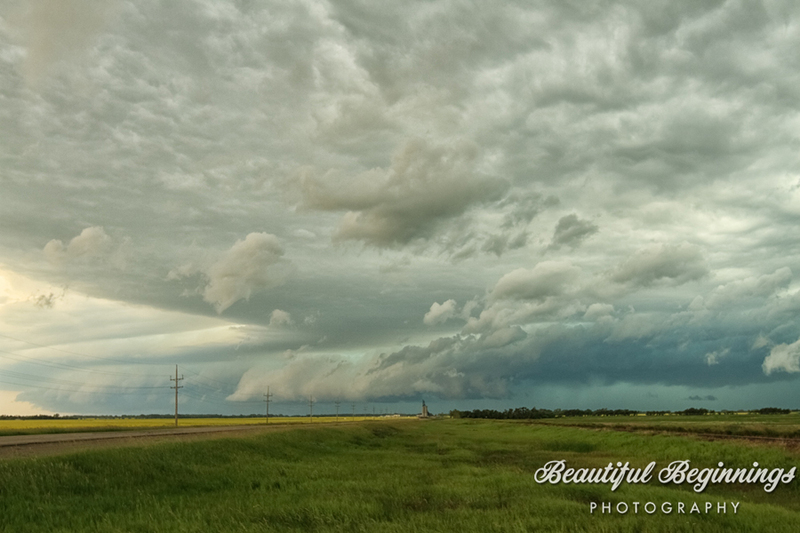 We decided to head south down highway 83 towards Melita this would give us the best advantage point as the storms were currently moving to the East (they started out moving North East). We found a nice canola field in between the towns of Pipestone and Melita. We stayed there for about 1/2 hour shooting the advancing storm. 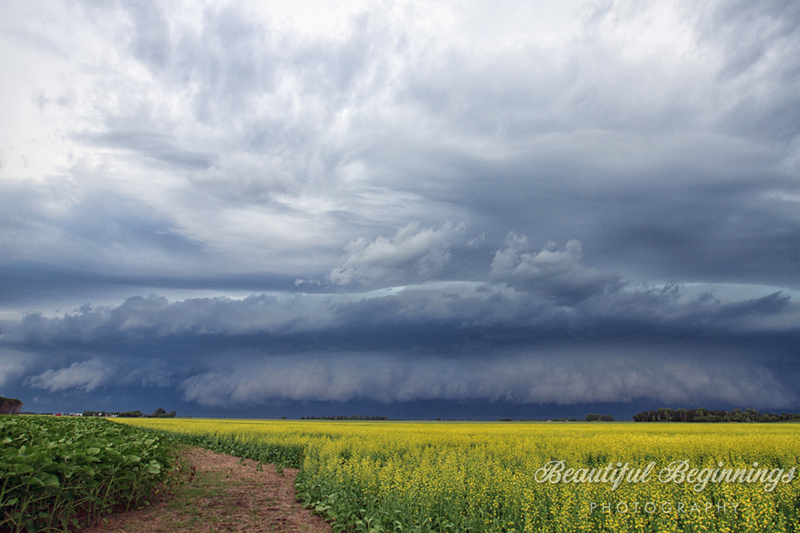 The images below are of a shelf cloud. Shelf clouds are at the front of the storm and have very high winds in there so we couldn’t stay in that location for much longer. After checking the radar there were 5 or 6 supercells all lined up in a row and the majority of them had rotation in them (meaning that they had the potiental to produce a tornado). The cell that was closest to Pipestone MB had the strongest rotation. We decided to head further south. We passed the town of Meltia and notice that the storm had started to head towards us. A quick check on the radar told us that the storm had change directions yet again this time they were moving southeast. 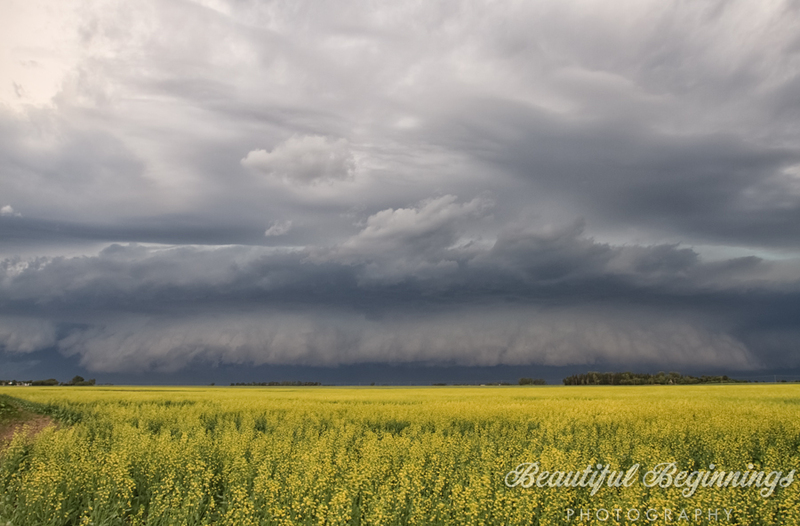 We found another canola field and train tracks and starting shooting again. We notice a second storm coming towards us. We stayed in this location for about 20 mins and decided to head back North past the town of Melita to where the storm was weakest and ride out the rain. 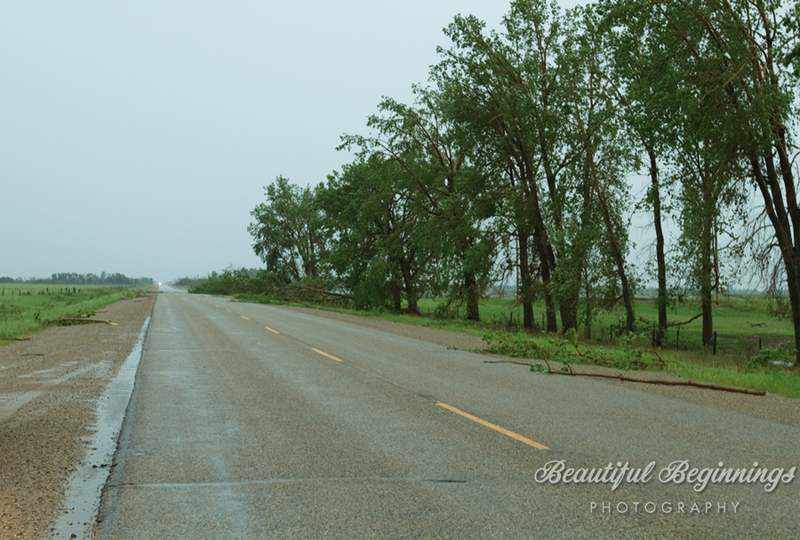 After we waited out the rain we headed back up highway 83 as we got closer to the Hwy 2 junction and the town of Pipestone we started to notice down trees on the highway. They were completely blocking the southbound lanes. We saw an RCMP officer near the train tracks and decided it would be a good idea to let them know. 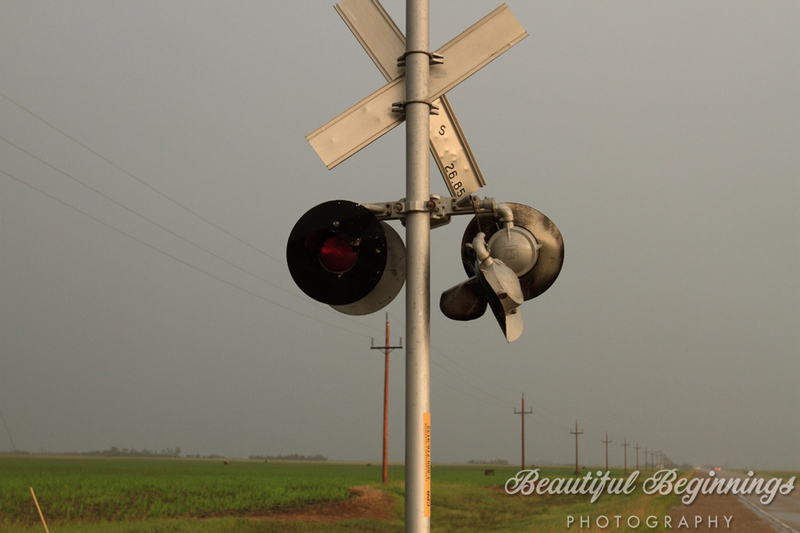 This is when I noticed the train track crossing lights had been damaged. The officer started to point out to me the additional damage and said that they believed a tornado had been through the area. 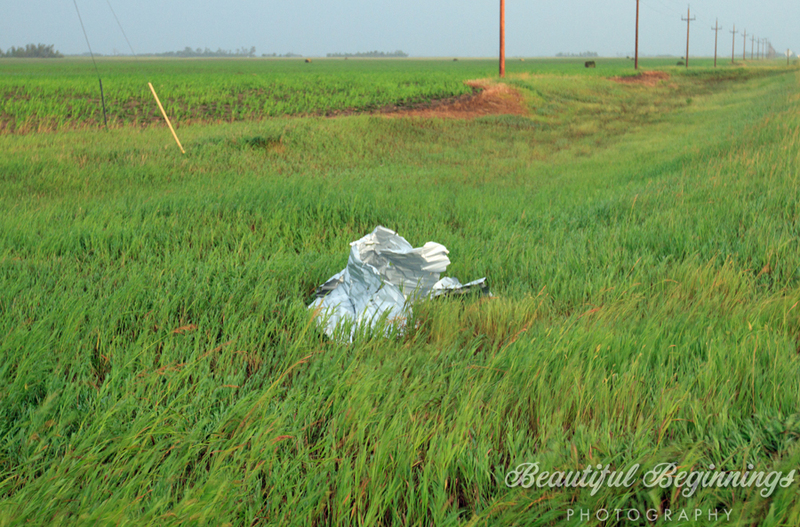 There were pieces of a metal shed that had been crumpled into a ball and were stuck in a farmers fence. As we started driving towards the town of Pipestone we notice more damage. Luckily no one was injured or died in the storm. I believe the people of Pipestone played a big roll in keeping people safe. There were a lot of people that were staying in trailers and the residence took those people into their basements with them, which I believe prevented injuries. 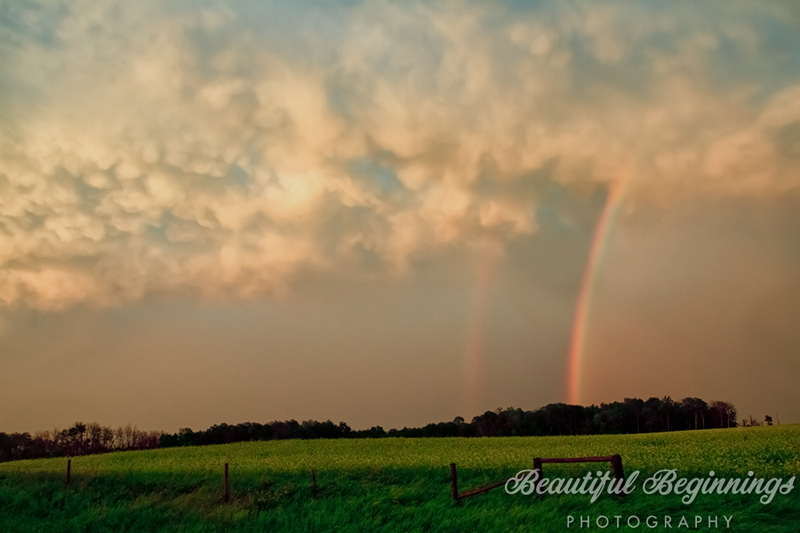 We started heading back home down HWY 2 once we passed the town of Souris, MB we were treated to a beautiful rainbow and Mammatus clouds. A great way to end the chase day! As of the writing of this blog Environment Canada has yet to confirm whether or not a tornado had hit the town of Pipestone or if it was straight line winds(these types of winds can cause damage like a tornado would) There was one person that had reported seeing a tornado 20 km from Pipestone but I haven’t seen any photographs of it. The storm that went through Pipestone was consider a HP (high precipitation) supercell so if there was a tornado chances are no one saw. This is why theses types of storms are incredibly dangerous. 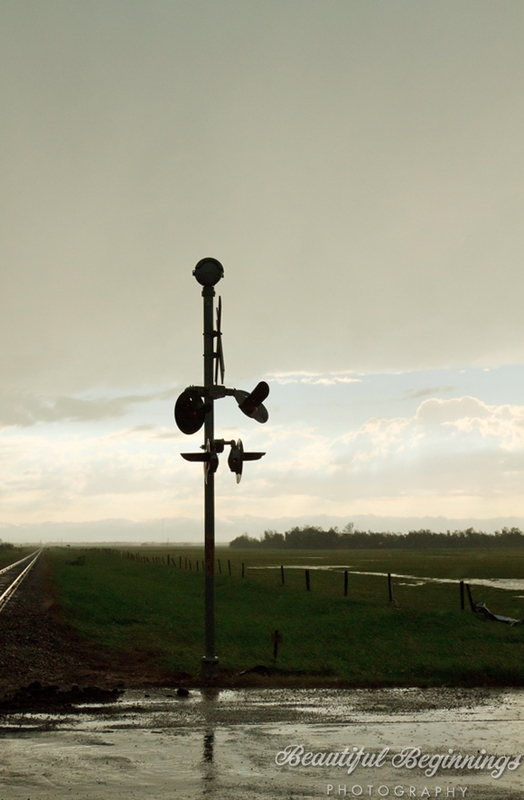 Environment Canada has estimated from the damage that winds were anywhere from 100 km – 170 km/hr. Environment Canada is currently looking at the radar history to determine if it was a tornado that hit Pipestone. 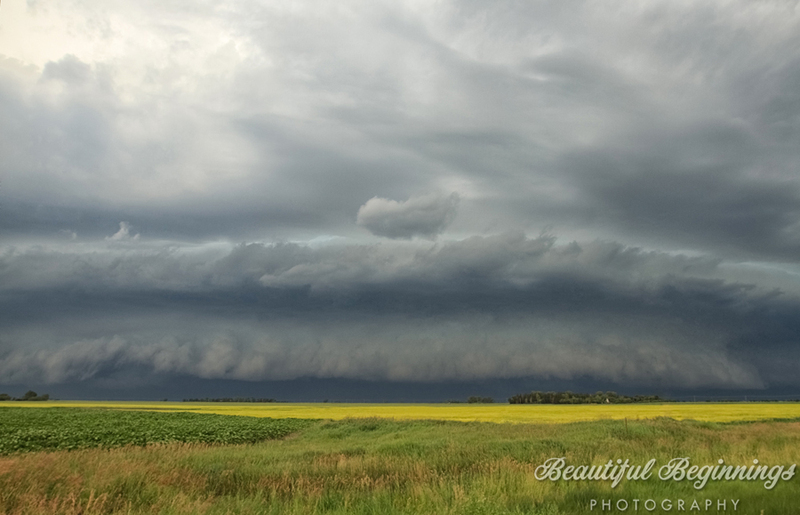 I am an amateur storm chaser and my goal is to become much more knowledgeable about storms so that I can continue photographing the amazing structures that these storms have to offer.